My new bass, Patrick Charton C21! During my stay in Paris last week (february 5-6) I met the great Luthier Patrick Charton. 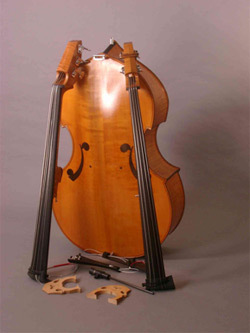 I liked his travelling basses so much so I had to order a C21!